2018 was a year of extreme weather events world-wide — and as the fourth hottest year on record how does climate change fit into the picture? While NSW and Queensland are apparently gripped by drought, farmers are pouring billions into a taxpayer-funded drought resilience scheme. Who will take the top job at Australia Council? Plus, no prizes for guessing who Bari Weiss is taking out for drinks when she gets to Australia. Drought relief isn't needed by most farmers, who are prepared for drought. In fact, it discourages them from making the right decisions to achieve resilience. Could Turnbull deliver a sensible Coalition drought policy? Is the government finally embracing the fact that drought assistance merely punishes farmers who do the right thing? 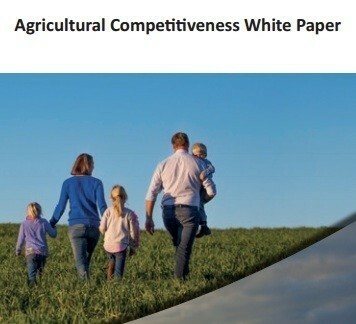 The government's white paper on agricultural competitiveness is about propping up an outdated family farm model, not competition. Unfair lending practices and a system that favours bankers over farmers is threatening rural Australia's livelihoods, says a Queensland farmer and grazier. Freelance journalist Amanda Gearing hears his story.